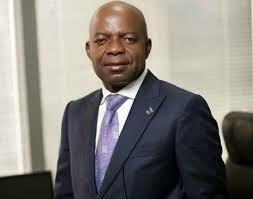 A former governorship candidate of the All Progressives Grand Alliance in the 2015 general elections in Abia, Dr. Alex Otti, on Friday declared his interest to run again in 2019. Otti, a former banker and renowned financial expert, told a mammoth crowd of his supporters at the Ngwa High School, Aba, venue of the formal declaration, that he would seek election as governor in order to restore Abia to the path of growth and socio-economic development. Otti debunked the rumour that APGA had two factions, saying that it was sponsored by the enemies of Abia and APGA. He gave a detailed narration of how the mandate given to him in 2015, was allegedly stolen but warned that such daylight robbery would never happen again. He appealed to the electorate, especially the youths, to rise to the challenge and defend their vote in 2019. Otti said that the outcome of the election in Ekiti last Saturday showed that it had become difficult for anybody to rig elections in Nigeria again.